As JWD Group, Inc. Chairman, the holding company of John W. Danforth Company, Duke is responsible for all facets of group leadership. He has direct influence and oversight on the group’s strategic direction and operation. Duke ensures that JWD Group is in constant pursuit of providing the best value to our customers through innovative solutions. 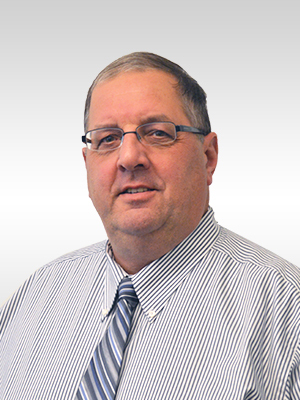 His leadership has guided Danforth to becoming the 3rd largest mechanical contractor in the Northeast. Duke began his career at Danforth as a project manager in 1982. During his time as a project manager, Duke developed his expertise in distributive generation systems and HVAC systems in the Municipal, K-12 Schools, Healthcare and Commercial applications. Kevin’s project management career also led him to the construction and rehabilitation of Sports Facilities, Industrial Complexes, and Water Treatment Plants. After leading numerous project successes for customers such as General Motors, the Buffalo Municipal Housing Authority, and NYSEG, Duke was promoted to Vice President of Danforth in 1988. Duke was able to use his experience from managing projects to implementing more efficient practices for Danforth’s construction model. Next, he assumed the role of Senior Vice President where he grew Danforth’s capabilities to be a true single solution provider for mechanical services. He did this through the acquisition and integration of several firms with the sole purpose of giving our customers a higher quality of work performed for a better price. His tenure with Danforth has been marked by continual growth and active participation in the Western New York community. Duke’s involvement in Buffalo and Western New York began while attending the Nichols School. He then attended the United States Naval Academy where he played hockey and trained to serve his country. After his time with the Navy, Duke attended the University of Texas Institute for Project Management and earned his MCA. Now as Chairman, he uses his experience and love for his community to make it a better place. Duke is currently involved in the Western New York community as a Board Member for the Buffalo Sabres Foundation, Maritime Charter School as well as being on the Labor Committee for the PMCA Western New York Chapter.